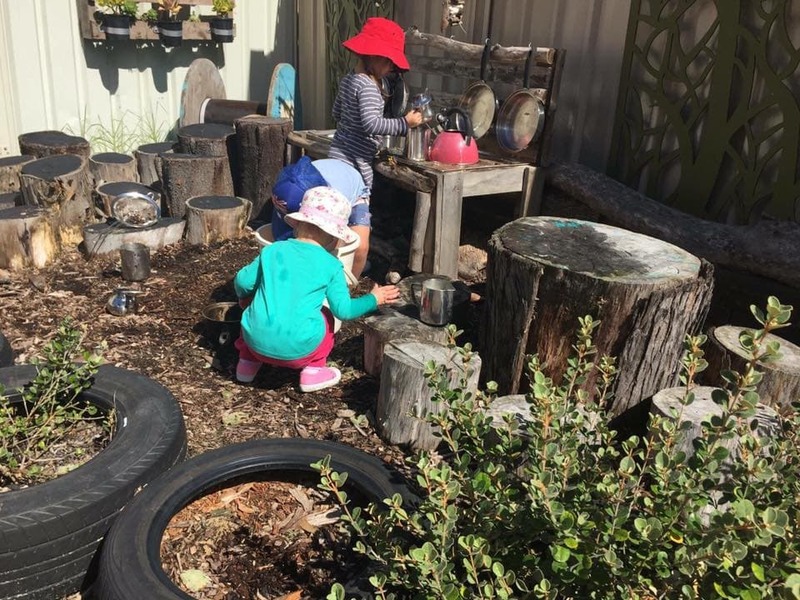 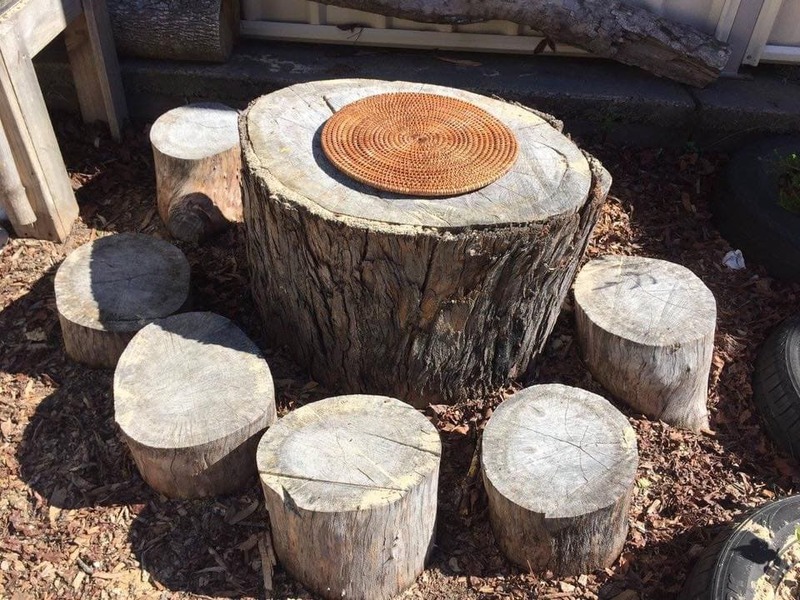 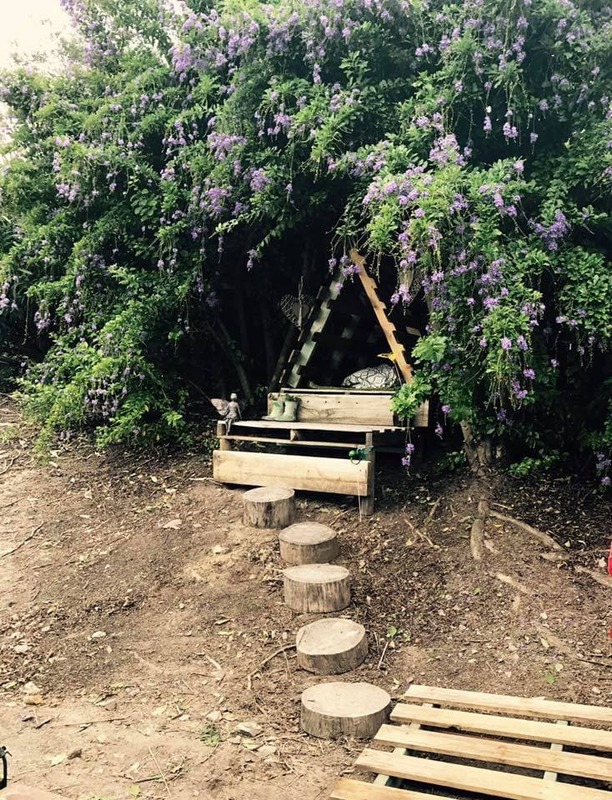 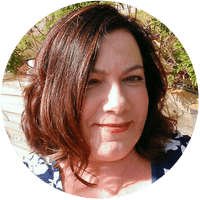 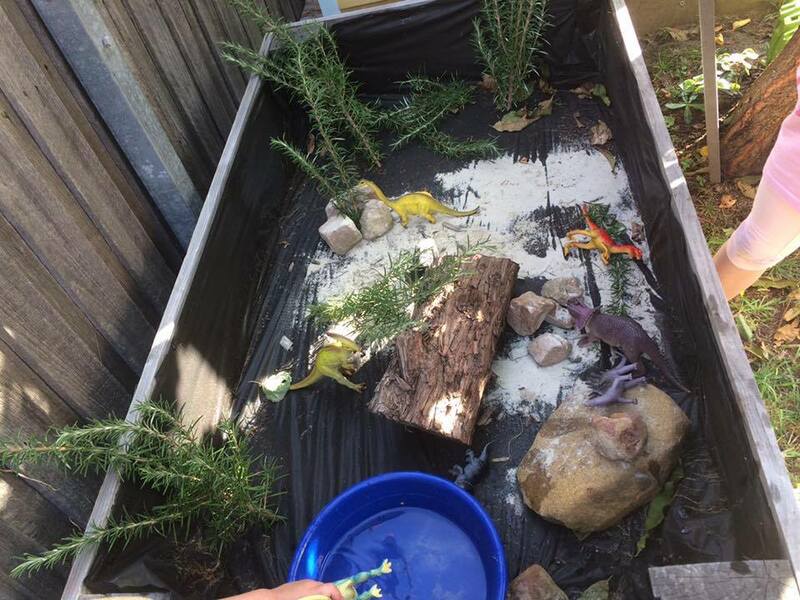 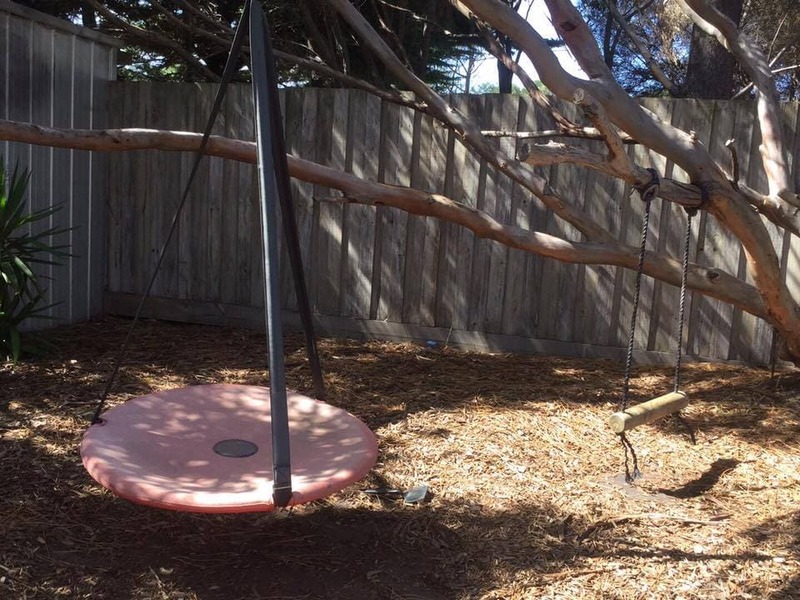 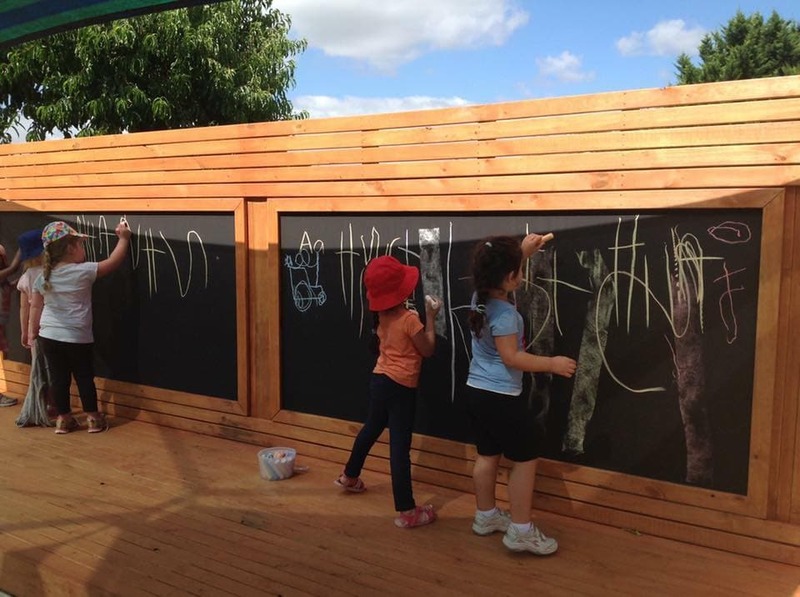 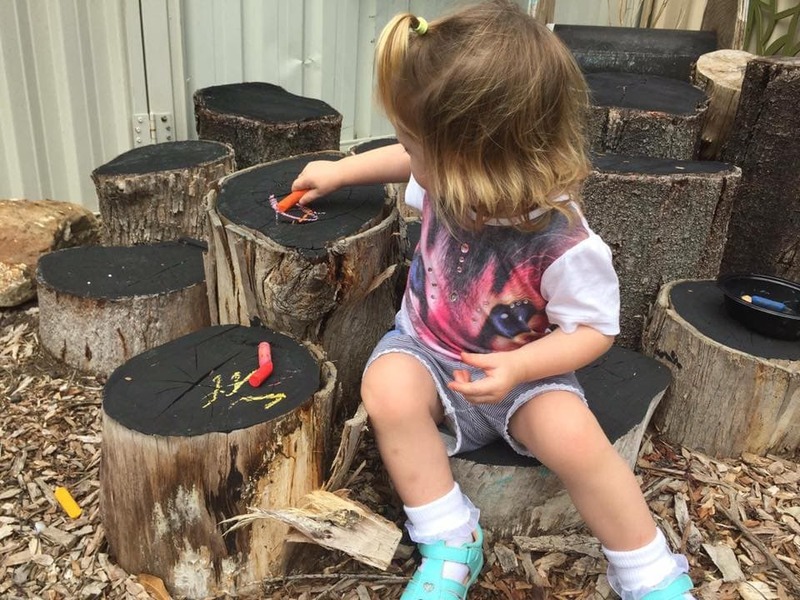 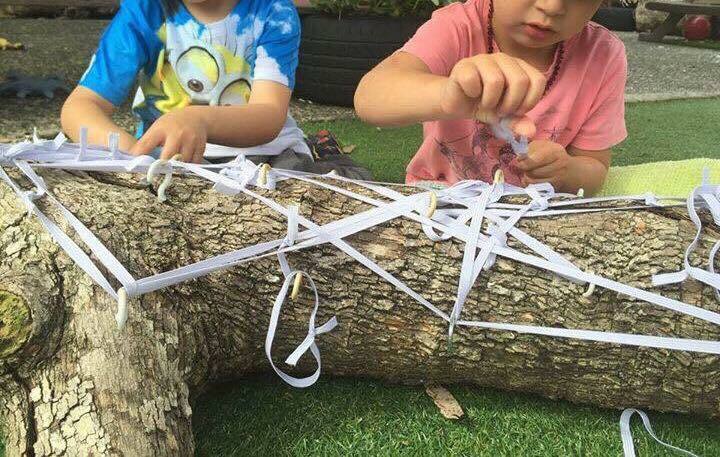 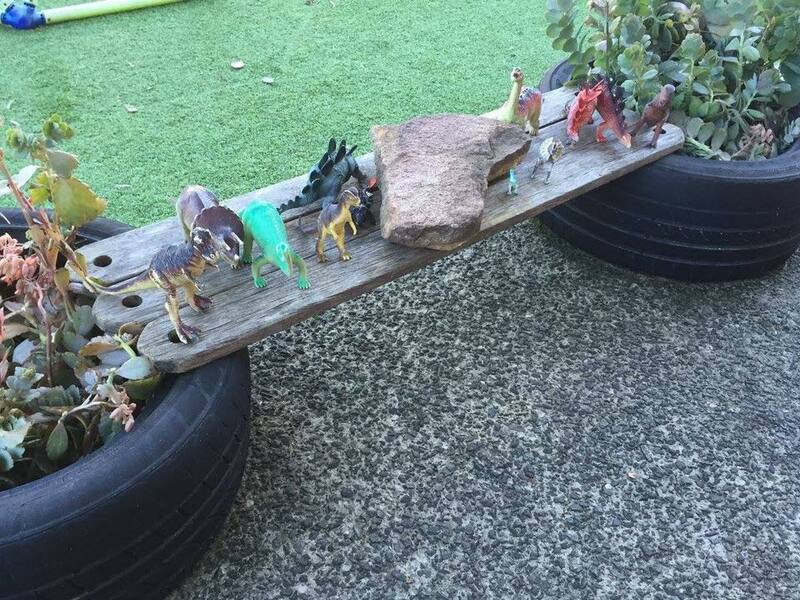 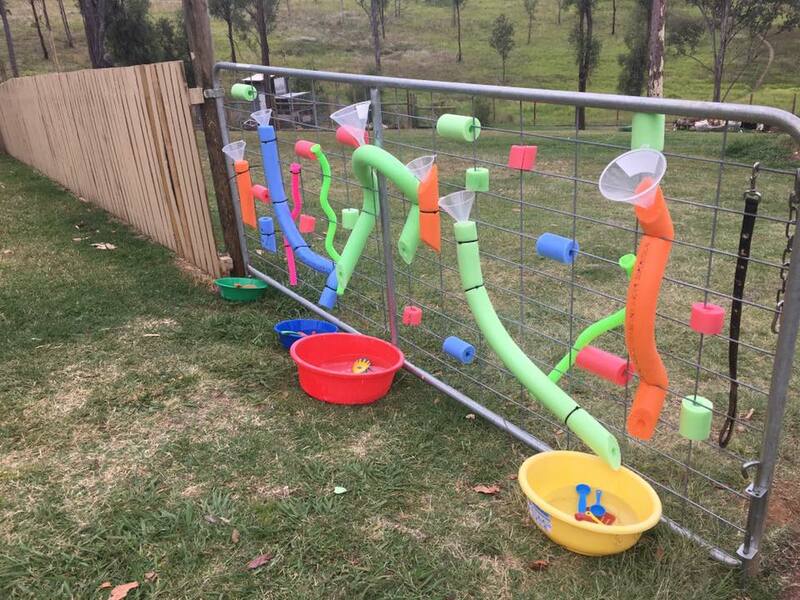 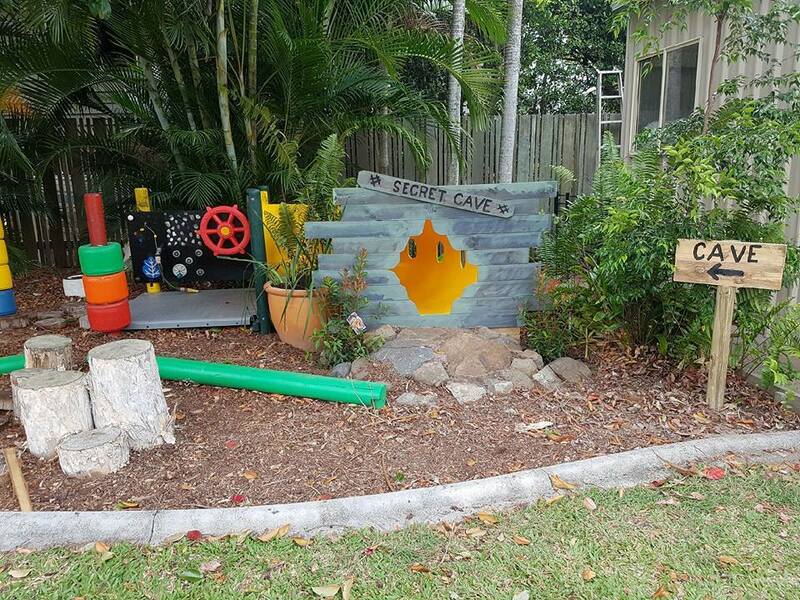 Planning and creating engaging outdoor play areas for children is one of my favourite things to do – another is inspiring other early years educators to get creative with their own outdoor play environments. 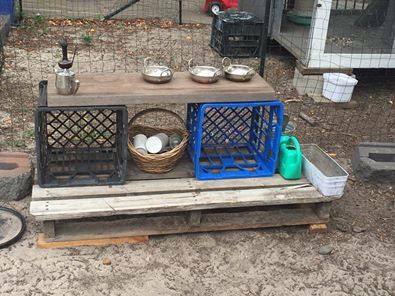 There is no need for big budgets or fancy materials, just a little outside the box thinking and commitment to upcycling and recycling! 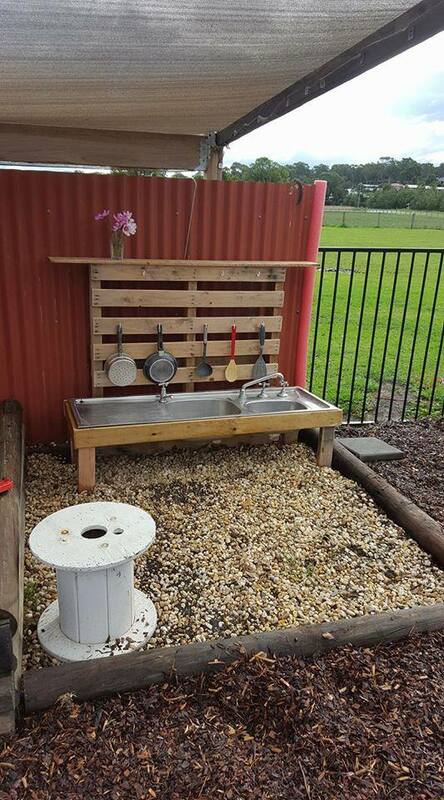 Some projects require a few basic handyperson skills but others anyone can do with a little hard work. 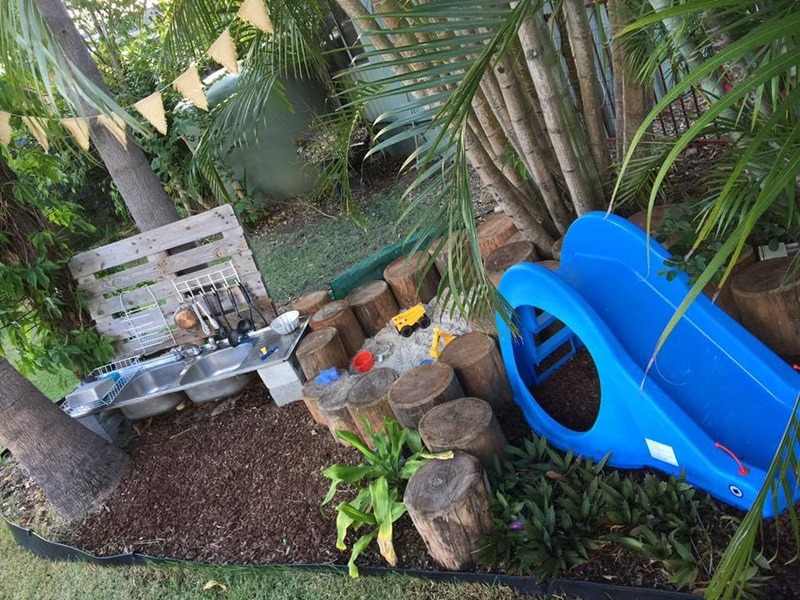 Outdoor play areas that draw children in to explore, experiment and build upon are those that usually have a mix of fixed spaces as well as lots of opportunities to access loose parts and open ended materials that they can move around, rearrange and add to the spaces in different ways to extend upon their play. 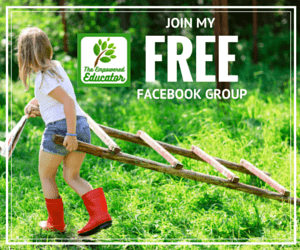 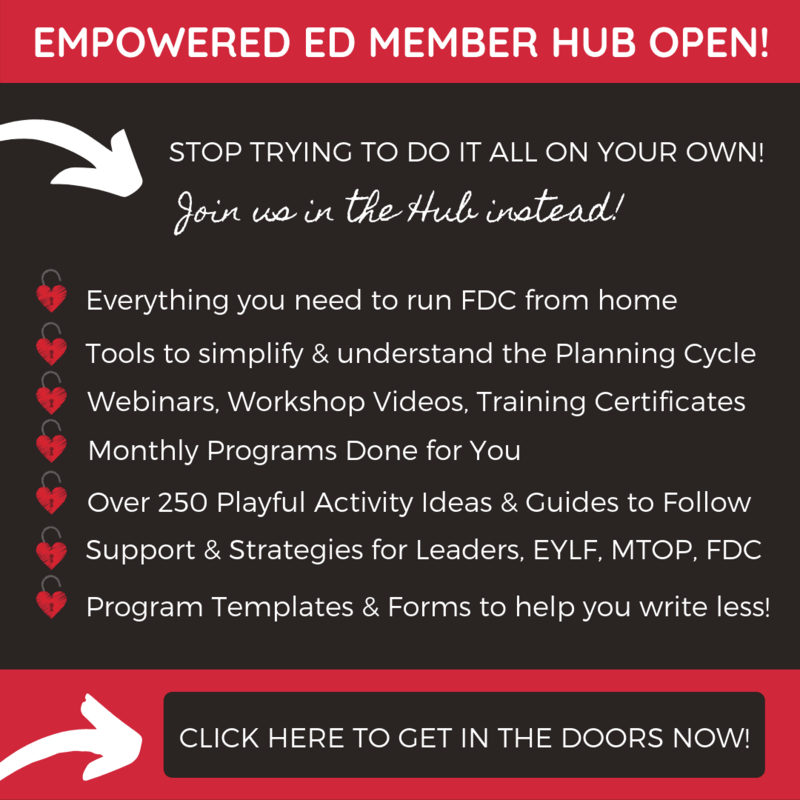 In my Empowered Educator Community on Facebook we have many hard working members who regularly share their outdoor play areas and projects with us and each month here on The Empowered Educator website we feature a collection of some of the wonderful ideas that have inspired us in the community – and I hope by sharing they also inspire you to perhaps try something different in your early childhood environment or backyard. 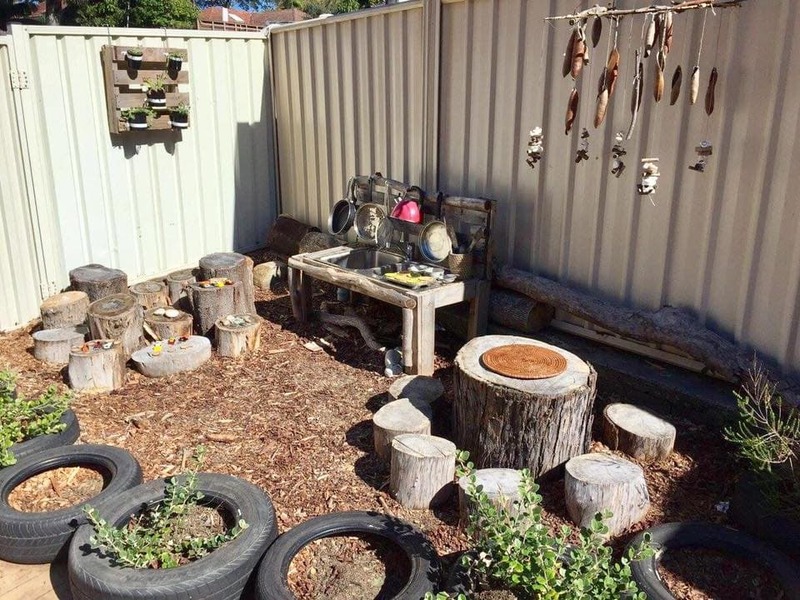 Most of the projects and spaces I’m sharing below are fixed areas but they also provide many opportunities to add open ended materials and you will notice lots of natural and recycled materials being used. 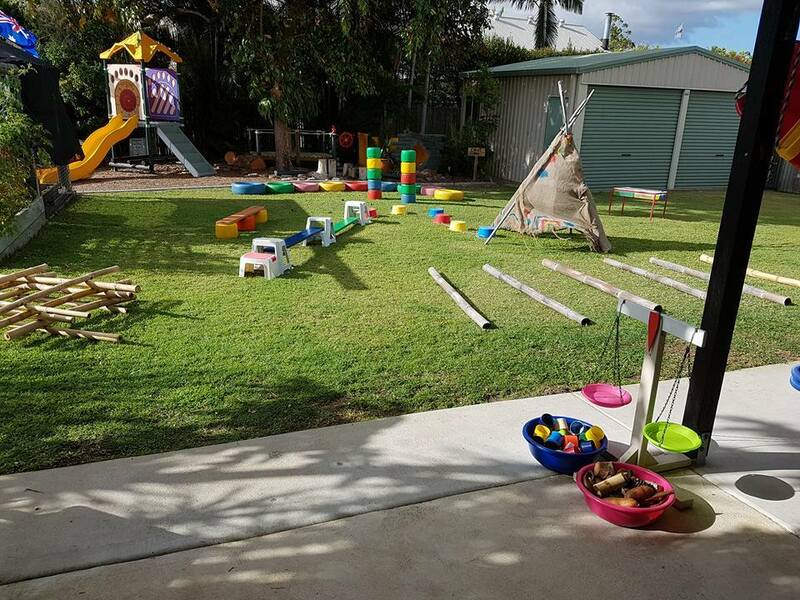 Keep in mind that everyone has a different space, skillset and budget to work with and the idea is not to feel overwhelmed with what others have created but to come away with a few basic ideas and a little inspiration to create something that might work for your play area in a different way. 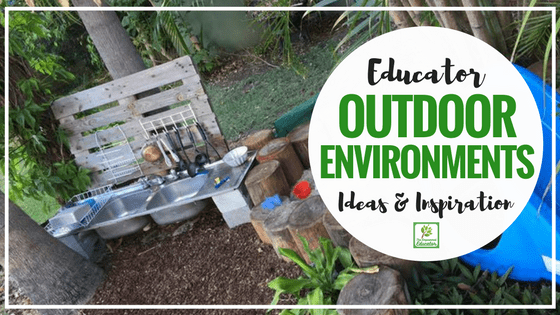 So let’s take a wander through this month’s Community Inspiration Topic which is Outdoor Environments. 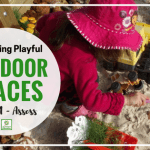 I can’t wait to share some of these inviting spaces and ideas with you! 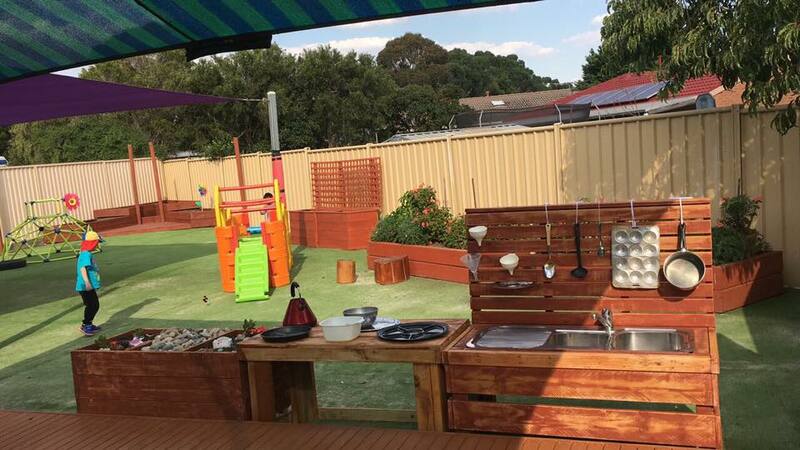 Outdoor kitchen areas encourage role play, imagination, investigation, problem solving and group games. 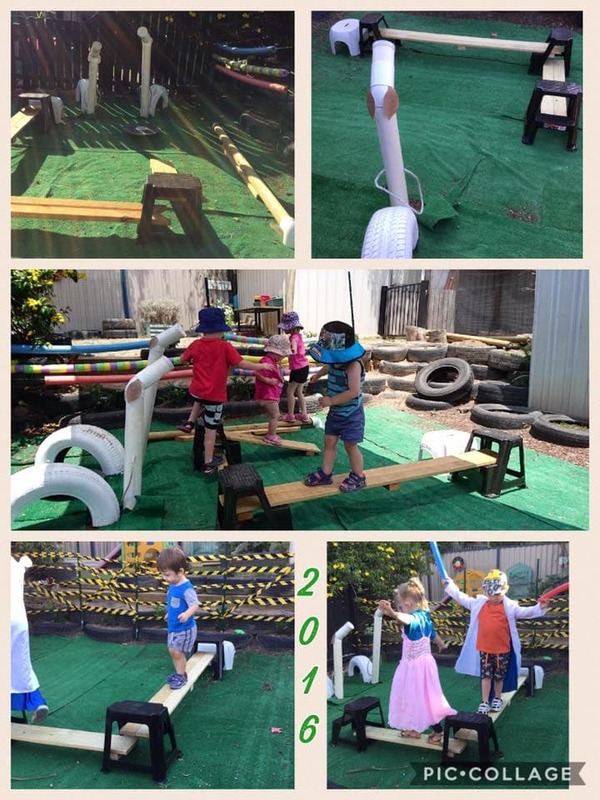 They can be made up of one piece of equipment or many but all invite play! 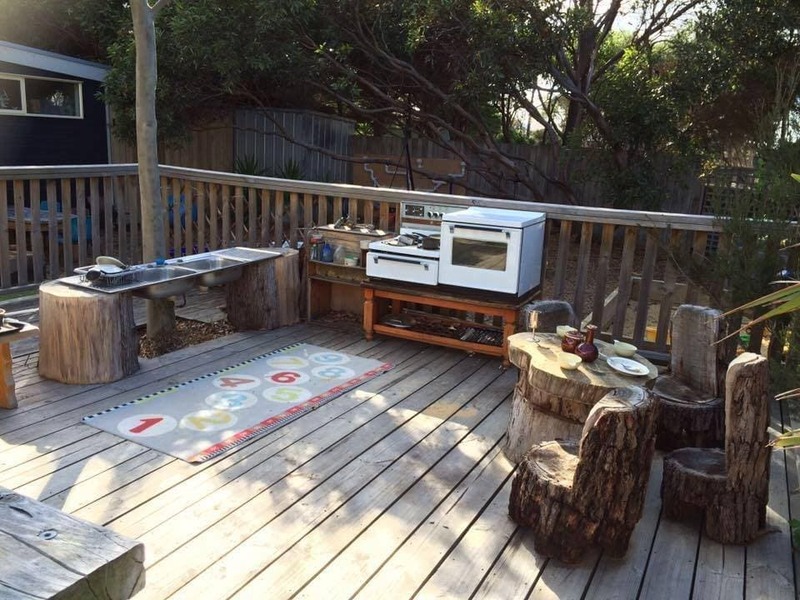 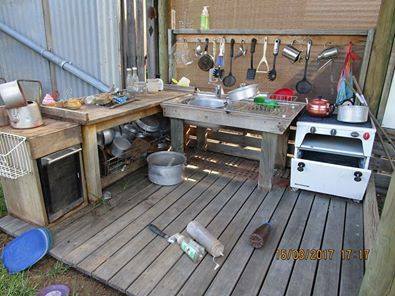 I bet the children love using the old oven in this wonderful outdoor kitchen and how sweet is that table and chairs?! 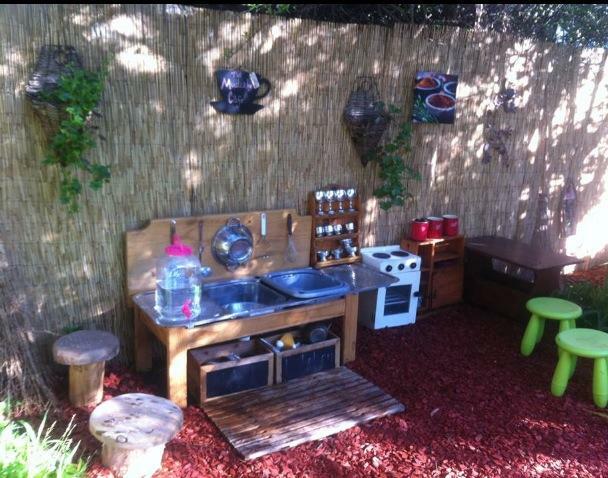 Shared by Marina..
Now that’s a kitchen to explore, create and get messy in! 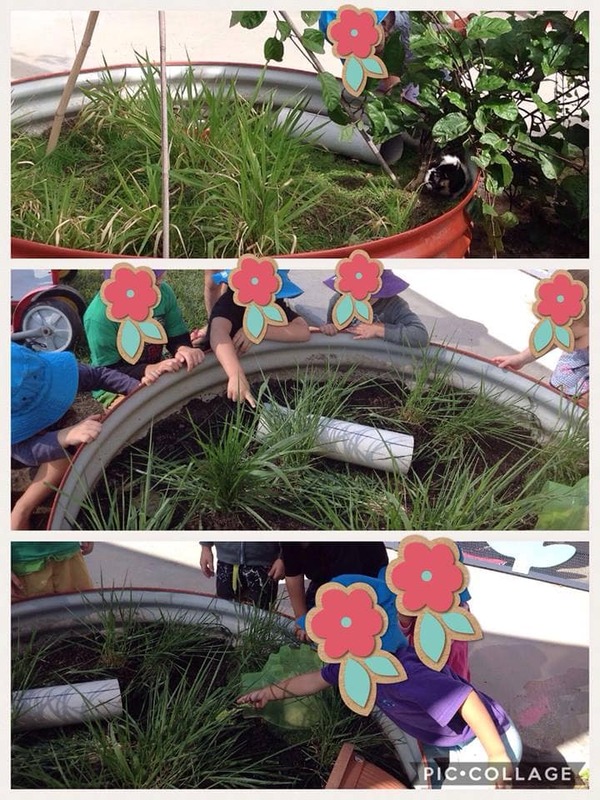 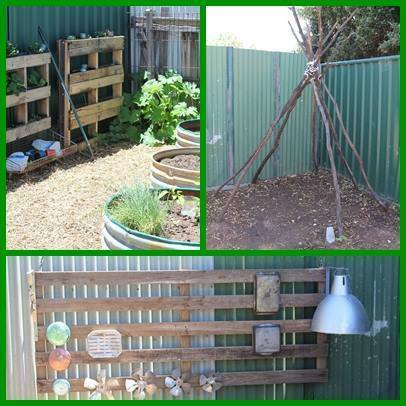 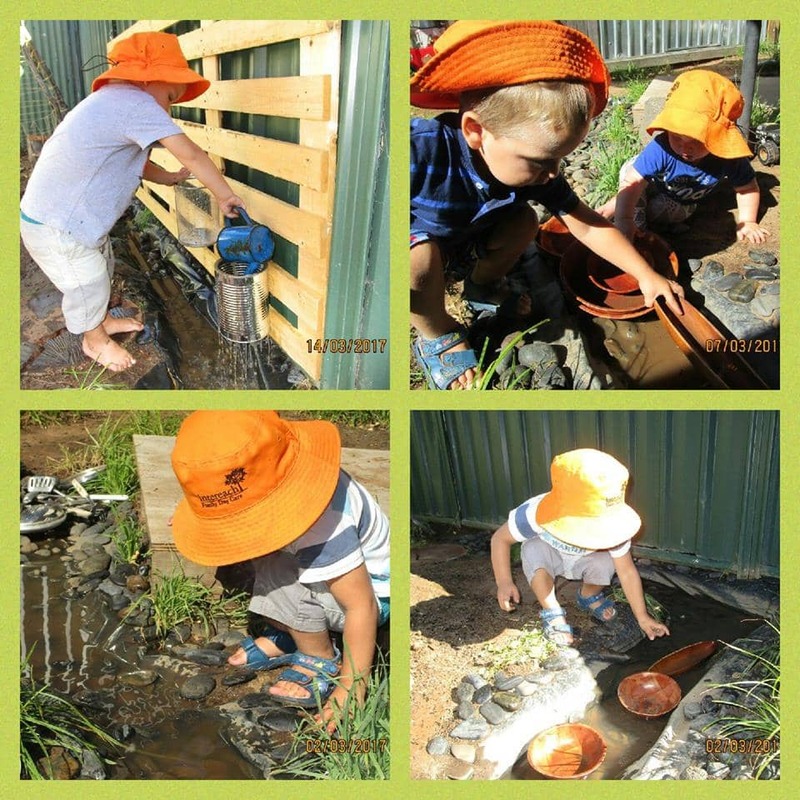 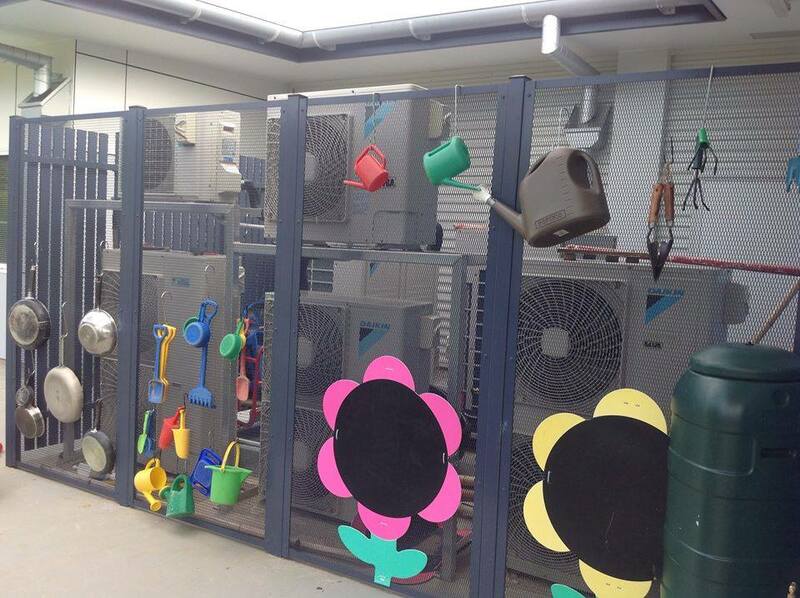 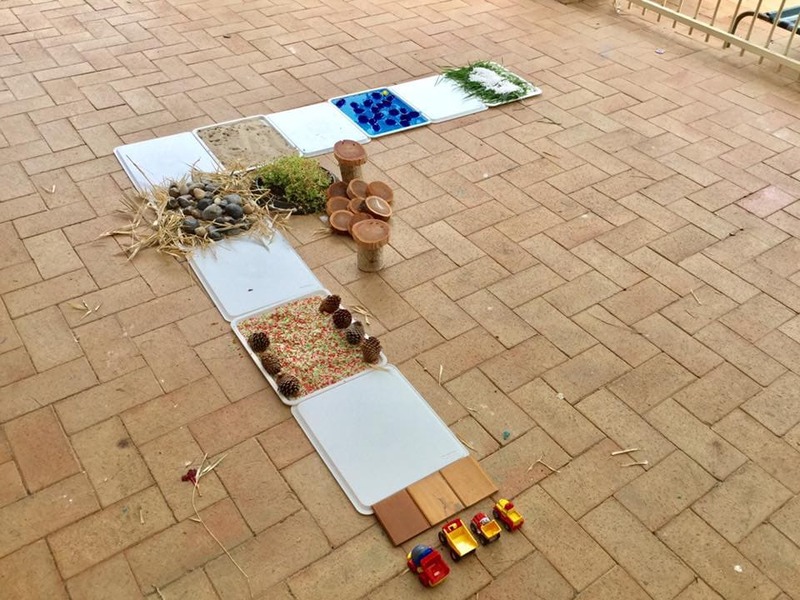 Shared by Divina..
Materials and spaces can invite children to explore, investigate and create using their senses. 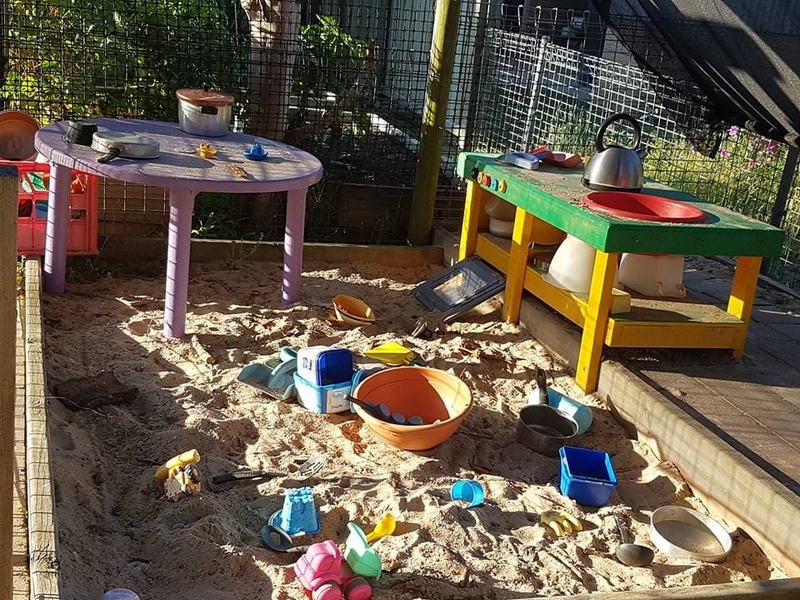 And the best part of these spaces being outside is that children can get as messy as they like! 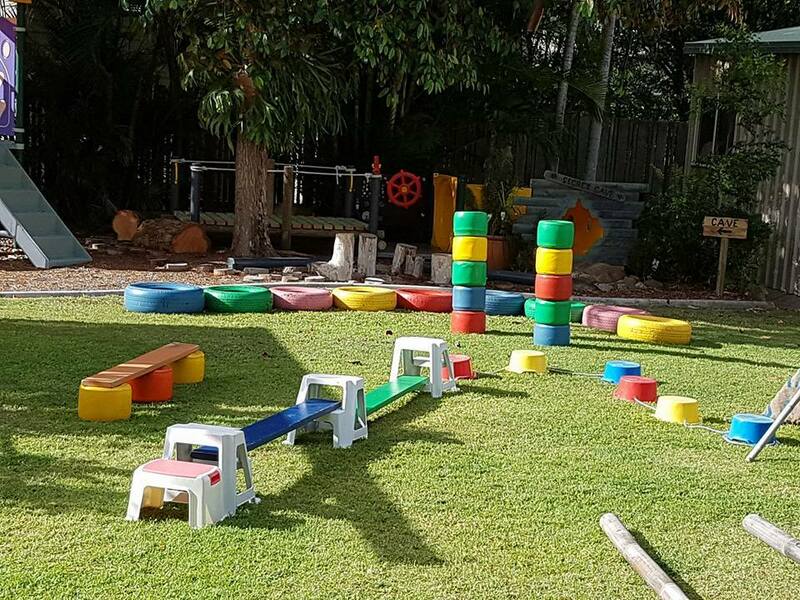 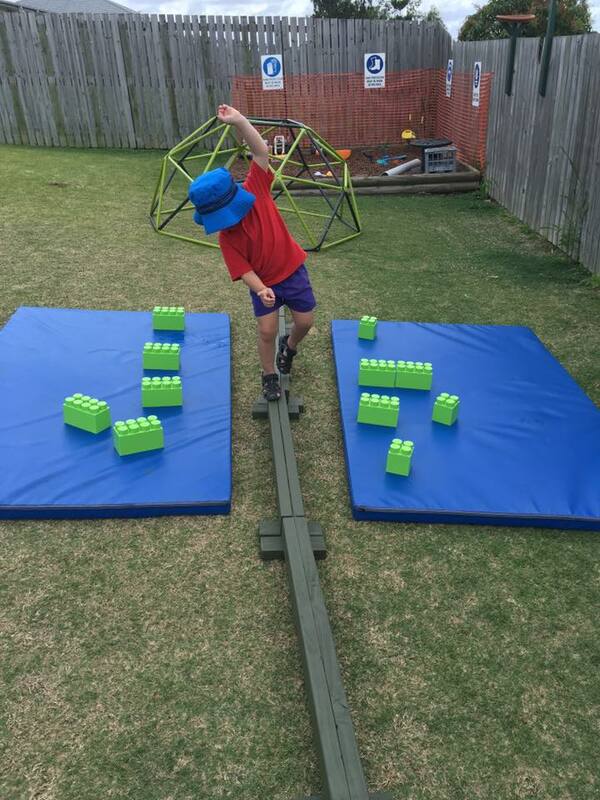 Add some tyres, wood offcuts, planks and stumps to your outdoor area and you have obstacle courses and building activities ready to happen! 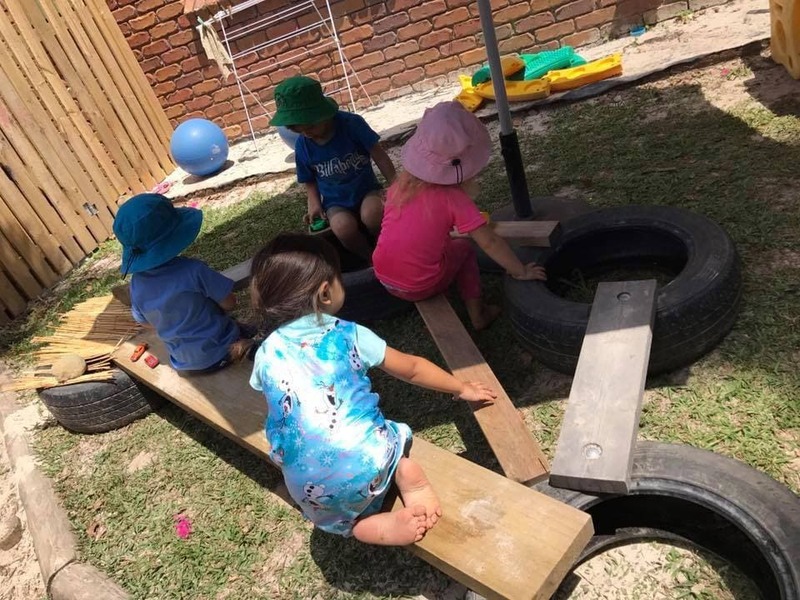 The educators below found some clever ways to create spaces that challenge fine and gross motor skills, balance, coordination, problem solving and also invite teamwork and communication. 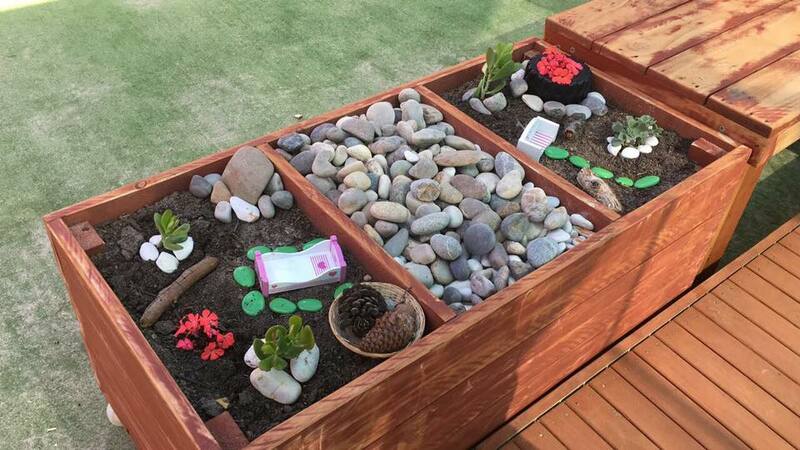 Best of all they are budget friendly! 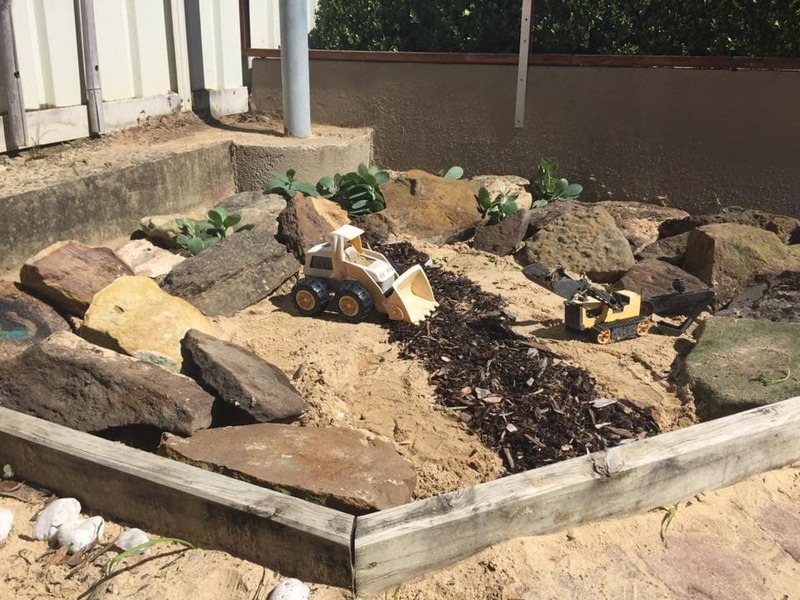 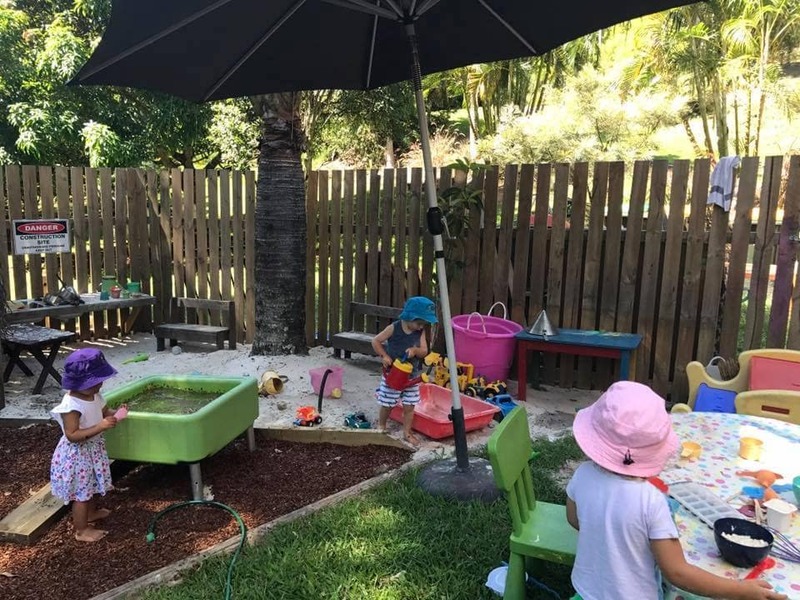 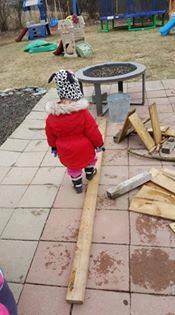 Even if you only have a small outdoor space I encourage you to create a digging, dirt or sand area if you can and don’t forget to add some loose parts for extending the play! 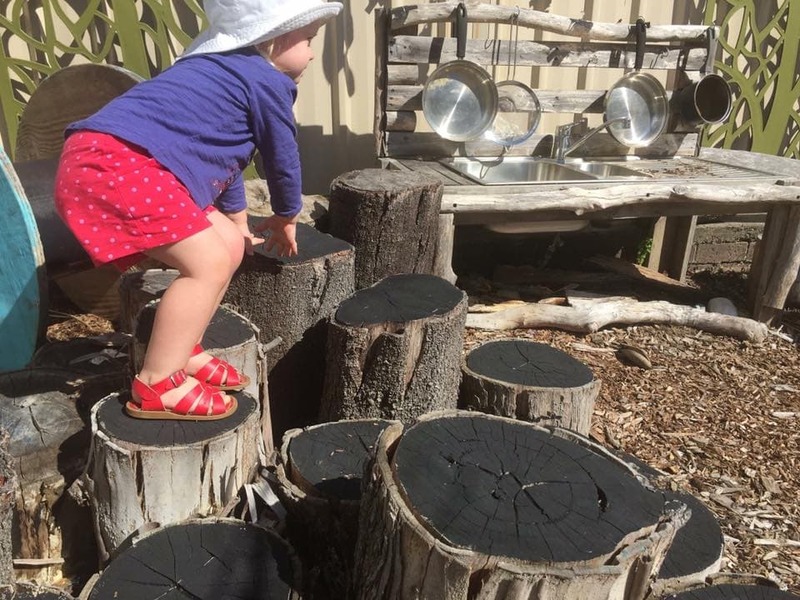 Using walls, fences and gates can be a way to save space and hide climbing hazards! 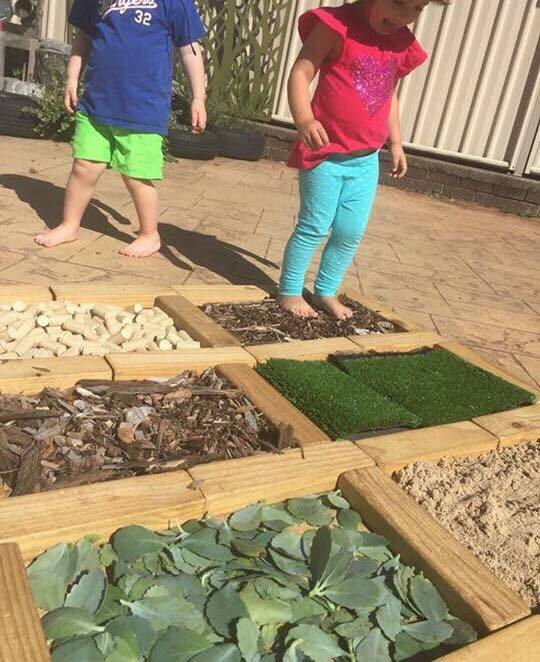 They also provide a different angle for children to use and explore materials. 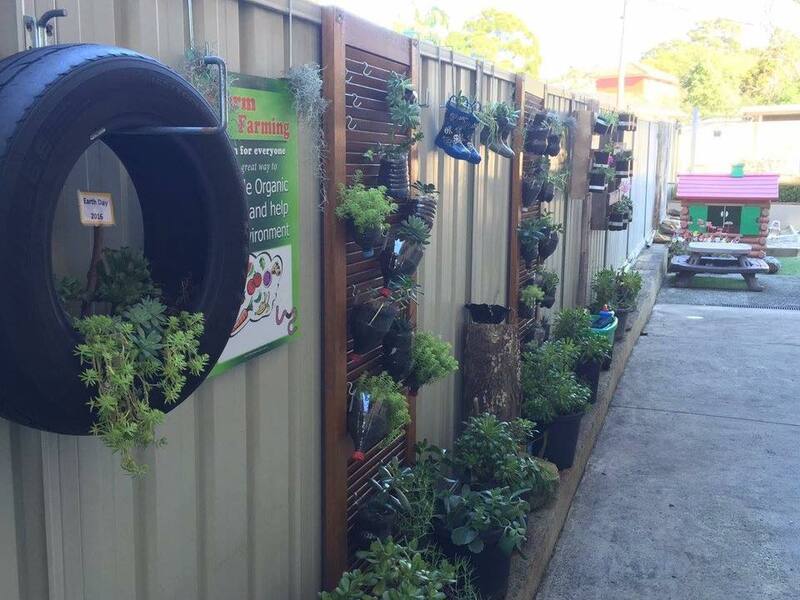 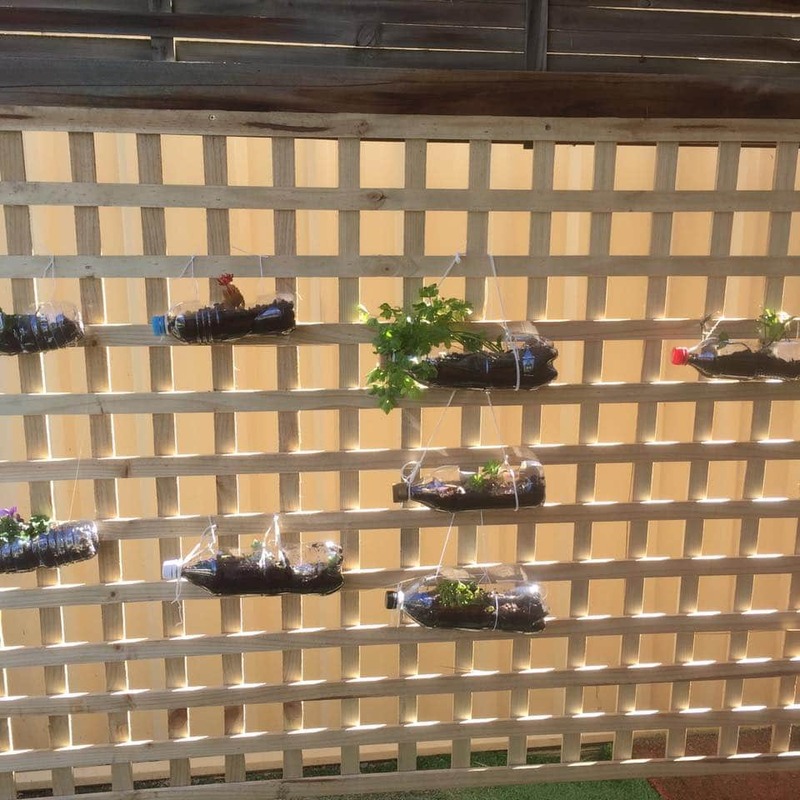 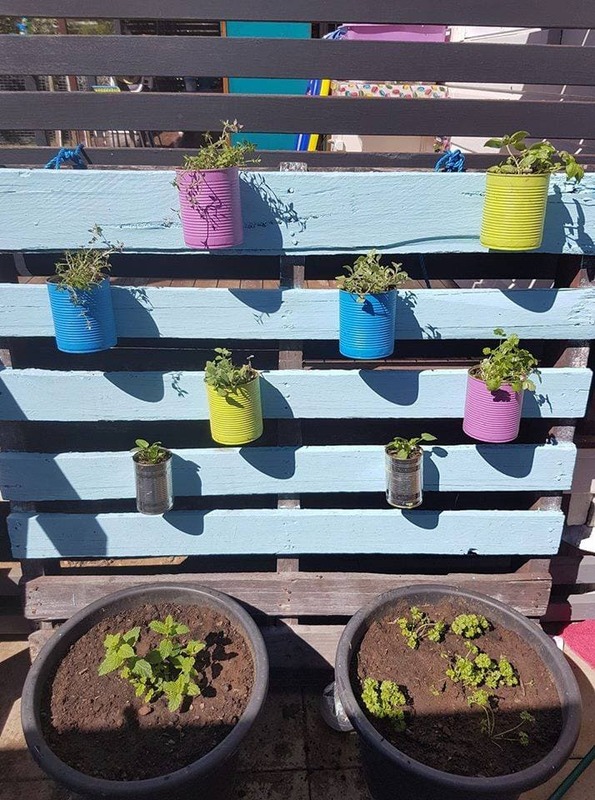 Lots of sustainable practice occurring along this wall – hanging planters made from plastic bottles, worm farms, tyre gardens, gumboots and old doors used as a frame. 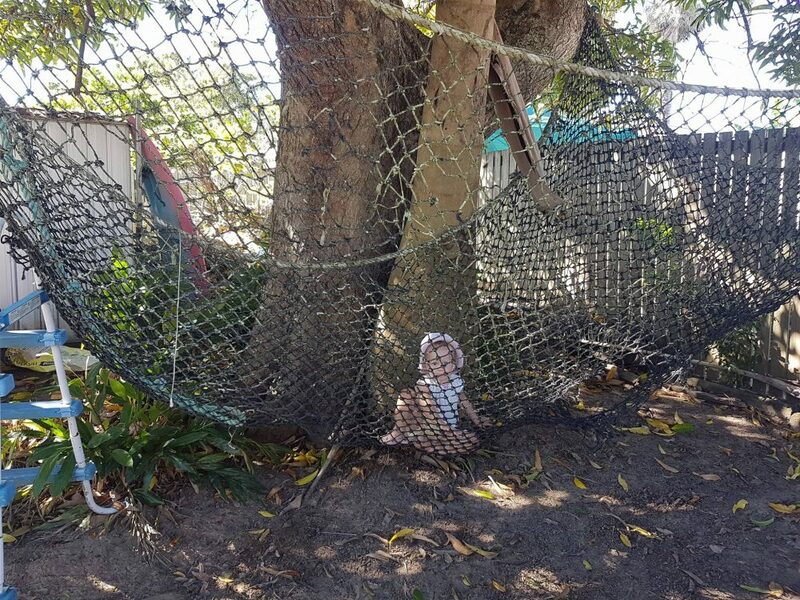 You don’t even notice the fence! 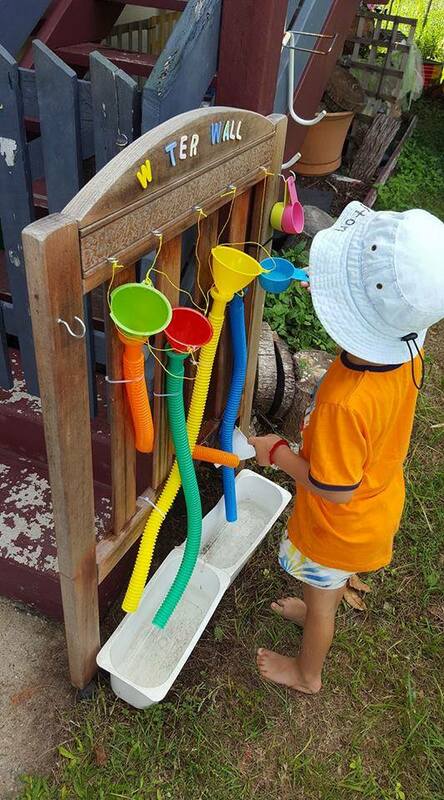 Shared again by the clever Renata! 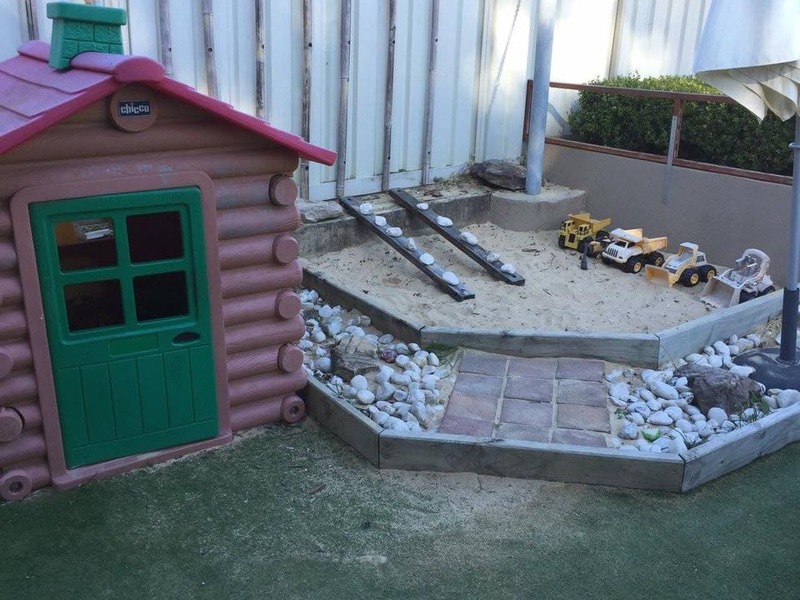 Secret spaces in outdoor play areas can be large or small but are usually tucked away in areas of the yard that still allow for supervision but help children to feel safe to make up their games or take some time out without prying eyes and adults interfering in their play. 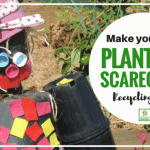 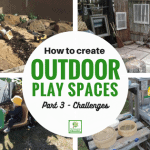 You might use plants, pots, fencing, screening or trees to divide and create spaces. 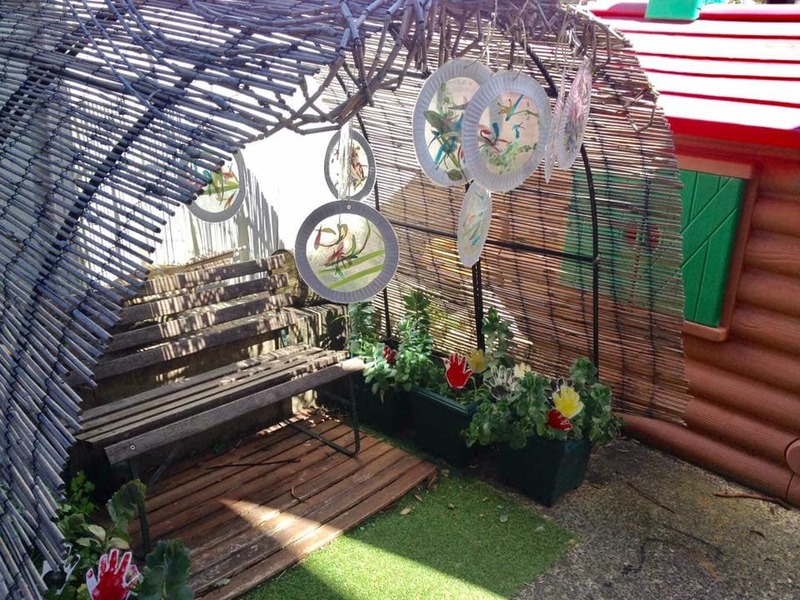 Also shared by Renata is this simple quiet space made with a wire arch and some bamboo screening. 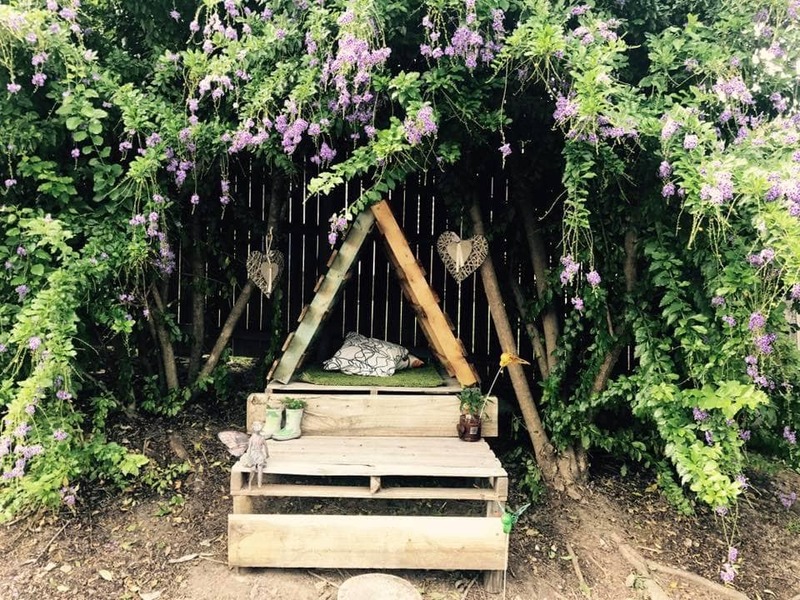 Secret spaces can be small and invite little people to just sit and create in their own little world surrounded by nature. 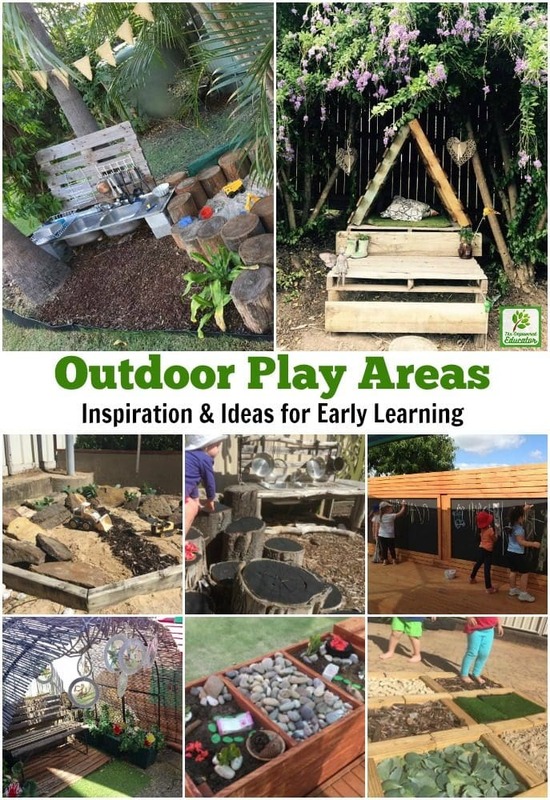 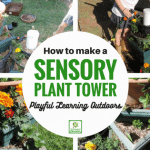 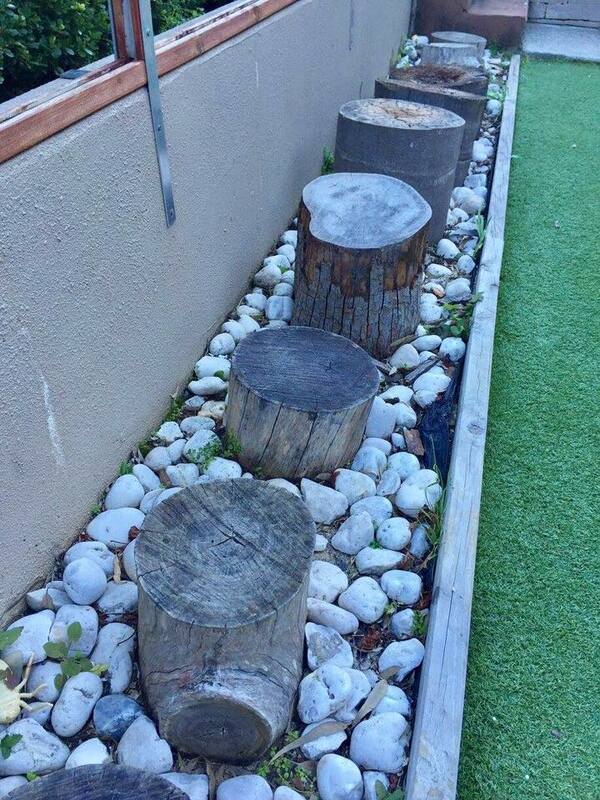 Feeling inspired to try something different in your own outdoor play area? 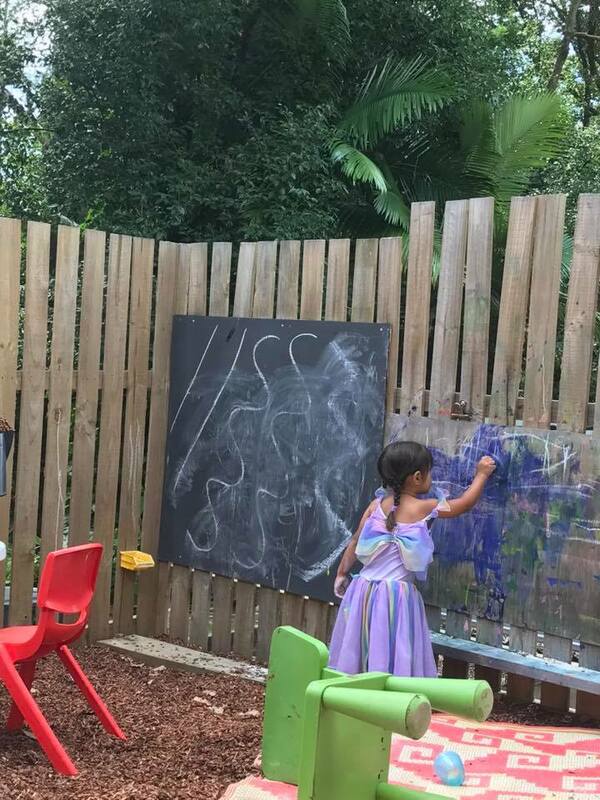 Make sure you start with a small idea first and then build from there – get creative and work with what you already have available. 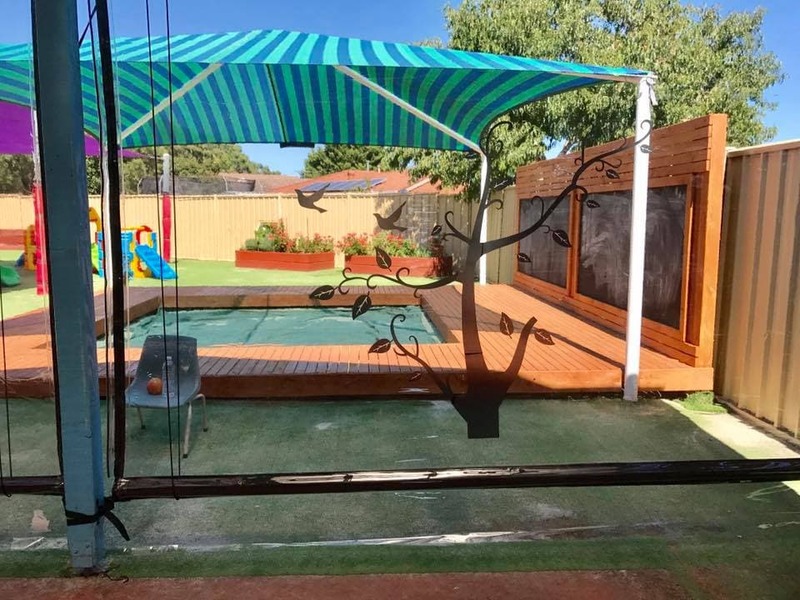 There is no need to feel pressure to create something similar to those areas above – just take a few ideas you like and modify to suit your space, budget and abilities. 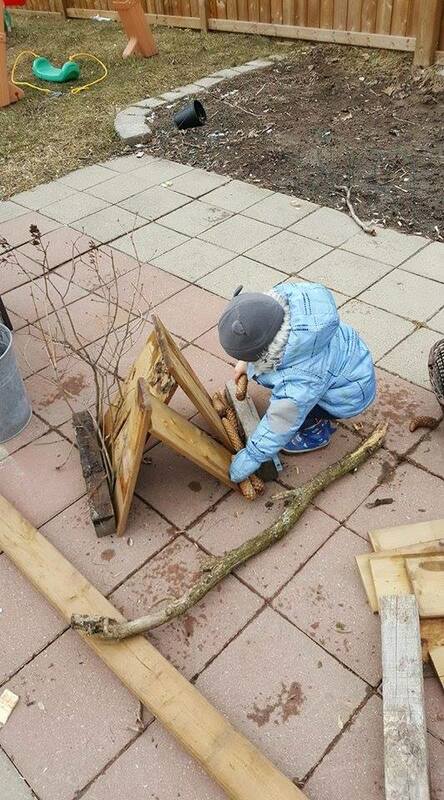 The children will love whatever you create – make sure to involve them in the process as well! 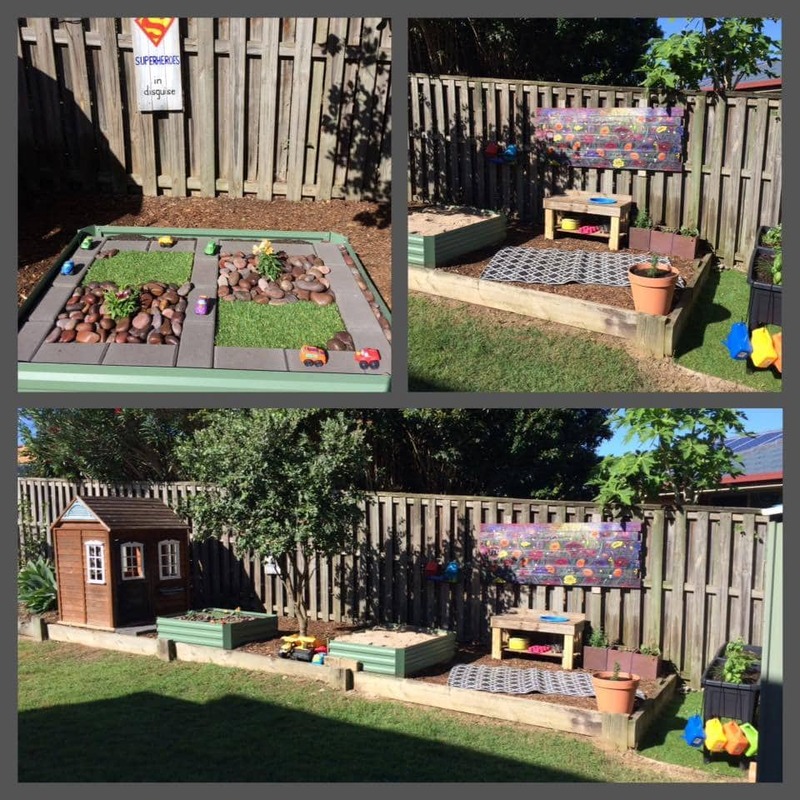 If you are looking for even more outdoor play area inspiration click on the links below to read about some of my own favourite projects shared previously here on the blog. 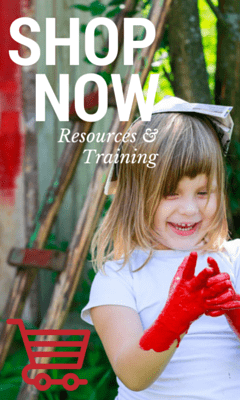 « DIY Bath Salts – Mother’s Day Gift Fun!